Soul music has always been an important strand of hip-hop’s DNA, and for many years now the two genres have frequently been indistinguishable. It’s not just hip-hop transforming the sound of soul, either—rappers and soul singers appear on one another’s tracks. And 30-year-old Mayer Hawthorne (ne Andrew Mayer Cohen), raised in Ann Arbor, Michigan, grew up as a hip-hop kid but also absorbed the ubiquitous strains of Motown. He'd produced some soulful, funky hip-hop as DJ Haircut, and on a lark he started fooling around with straight soul, sharing songs he wrote and sang with friends. Eventually a couple of those recordings fell into the hands of DJ Peanut Butter Wolf, who runs the respected LA hip-hop label Stones Throw. He was impressed and quickly signed Hawthorne. Hawthorne’s debut album, A Strange Arrangement (due October 6), is an homage to Motown first and foremost. Though other sweet soul influences make themselves felt, Hawthorne clearly carries a torch for the Holland-Dozier-Holland thing; half the tunes take pages from the Smokey Robinson playbook. He played most of the rhythm instruments himself—not saying much, since the bass and drum parts are pretty basic—and though he borrows some production ideas from hip-hop, by and large he's replicating a sound that’s four decades old. That said, his songs are surprisingly strong, riding on classic melodic progressions and bristling with hooks—he wrote everything here except “Maybe So, Maybe No,” a wonderful 1970 obscurity by Detroit’s New Holidays. But compared to contemporary blue-eyed soul singers like Lewis Taylor and Jamie Lidell, Hawthorne has pretty weak vocal chops. His falsetto is anemic, even a bit doughy (listen to “I Wish It Would Rain”), and sometimes his pitch control is so poor he sounds like a badly warped record. More troublesome—though admittedly more subjective—is the impression I get that Hawthorne is merely simulating the emotions that are supposed to be at the heart of soul music. His tunes go down easy, but no matter how serious he actually is, the record always feels a bit like a put-on. Of course, there’s nothing inherently wrong with that—I was just hoping, based on all the ecstatic press he’s getting, that Hawthorne would have something more going on. 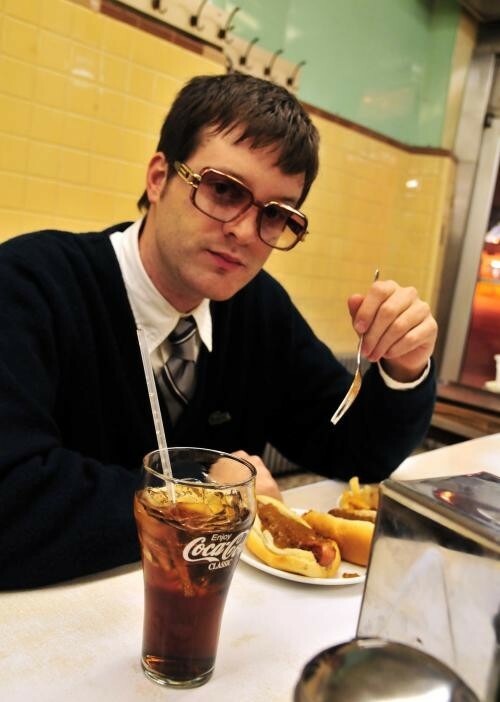 Mayer Hawthorne performs Friday night at Darkroom.